I Am Setsuna has launched on the PlayStation 4 today and director from the Tokyo RPG Factory Usuke Kumagai has taken to the official PlayStation blog to reveal more details about what you can expect from the new arrival on the PS4 console. Check out the launch trailer below to whet your appetite further and learn a little bit more about the storyline and gameplay mechanics that you can expect to enjoy once you have downloaded and installed the game on your PS4. I Am Setsuna is the very first game to come out of “Project Setsuna,” which was started with the idea of using current technology to replicate the engrossing JRPGs from the 90’s — the golden age of the genre. The concept we sought to express through the game’s story is setsunai, an emotion unique to the Japanese language. 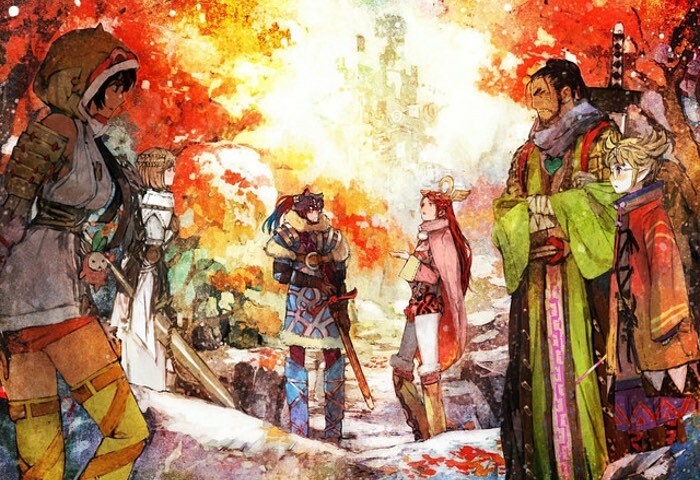 The game tells the story of a young woman by the name of Setsuna, who decides to become a sacrifice to restore the peaceful lives of the people, and her subsequent journey through the bitter snow. When her journey towards her own death comes to an end, what the player feels is the setsunai emotion that we wanted to convey. The game has a unique battle system and customizable elements. The battle system is based on Active Time Battle, but has its own twist. Weapons and items can be customized for upgrades, and by combining with other equipment, the player can take advantage of different skills and effects in battle. The music in the game is composed mainly on the piano, adding another layer of depth to the game’s world. The main story can be completed in 20 to 30 hours. You can, of course, keep grinding after completion, but before that, I hope you reach the end of the story and experience the emotion of setsunai.